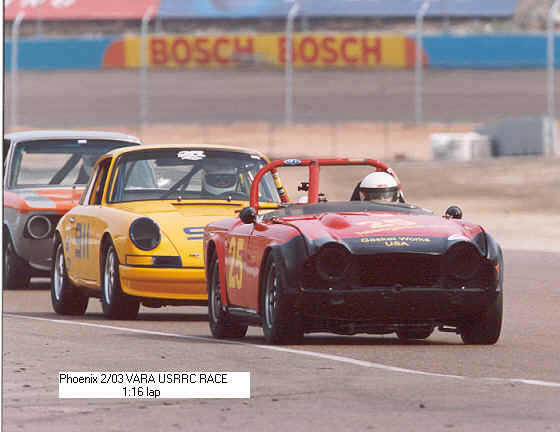 That is how they finished at PIR February 2003. Triumph in front of 911 and BMW2k2. 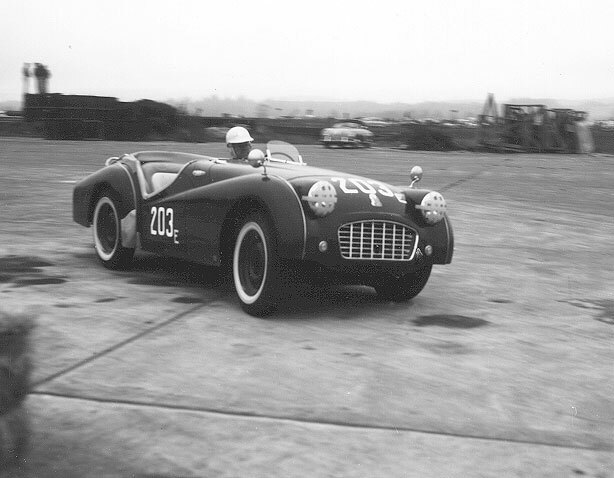 #25 TRS Triumph factory entry at Le Mans driven by my father-in-law to a class win and my #25 1966 TR4a vintage race car. Mr. Snell just seconds before his untimely death. It is for his memory that the "Snell" standard for helmet safety is named. 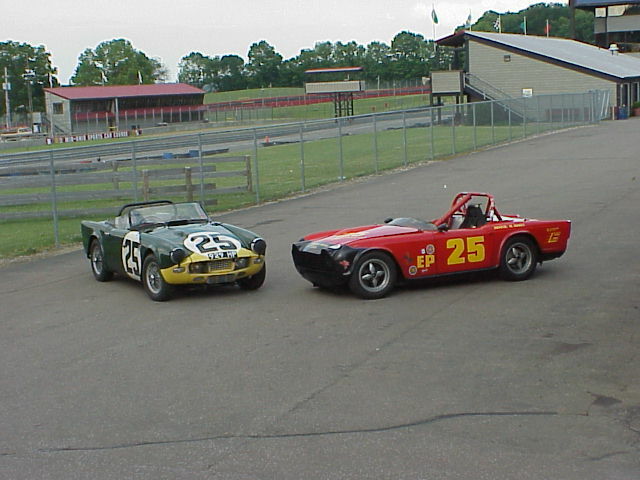 50th anniversary of Triumph Racing at Mid Ohio 2002. 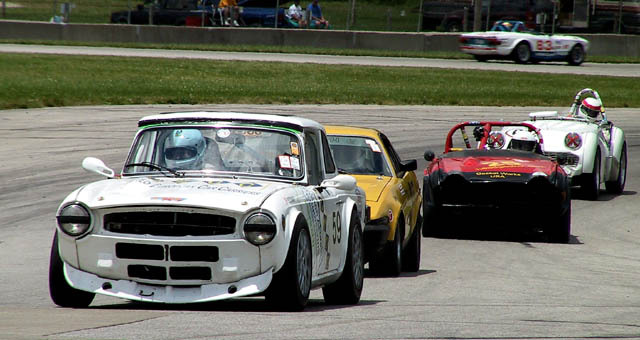 TR6, TR8,TR4 and TR3 in order of finish. 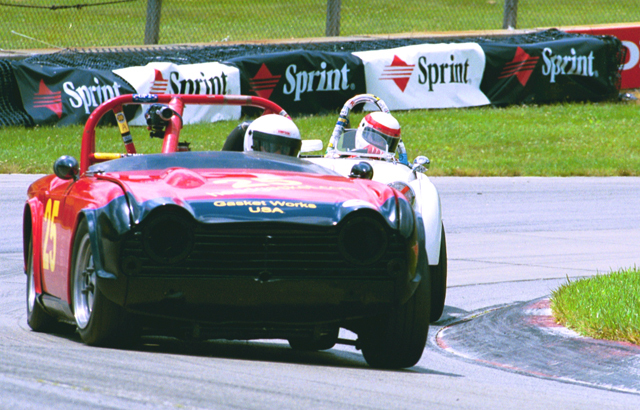 Cars are really digging hard at Mid Ohio 2002.